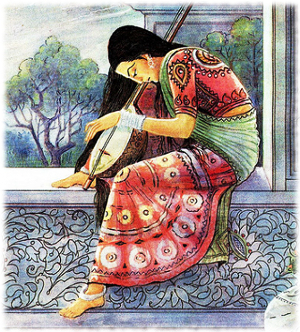 There once lived a woman named Noori who had spent all her life in a small fishing village next to a beautiful lake. All the villagers there lived in huts made out of straw and got their living from fishing on the lake. 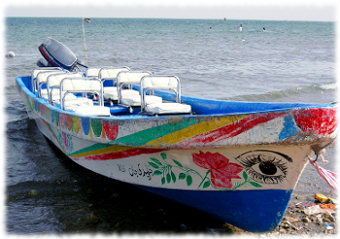 The daughter of a humble fisherman, Noori loved the little village and all things to do with life by the water. 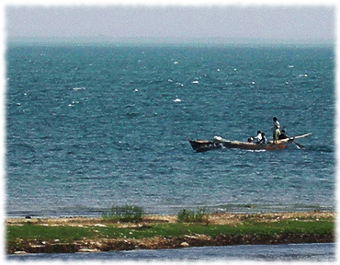 One day while Noori was helping her father unload some nets from the boat a great clamor arose in the village. The news traveled fast from person to person: “The King is coming!” and all the villagers rushed around to make their houses and garments as presentable as possible. The woods surrounding the village were great hunting grounds and King Jam Tamachi had been spending time there doing some hunting. Now he was ready to relax for a while by the lake before returning back to his palace. Noori was quite curious because she had never seen the King before, or really anyone of royal status for that matter. The villagers around her whispered that he would be wearing clothes made of gold as well as the finest jewelry. She thought the idea of someone wearing clothes of gold to be kind of strange and reminded herself to look and see if this was actually true. But as soon as the handsome King came near to where Noori was she forgot all about that, his eyes met hers and it was love at first sight for both of them. 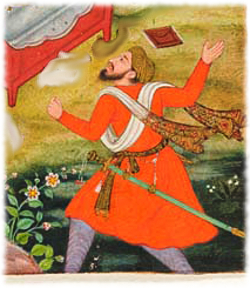 It was a very strange thing for a king to fall in love with a poor fisherman’s daughter, but many people in the village weren’t surprised when they learned it was Noori that the King had fallen in love with. She was quite beautiful and had a face that people said shined bright like the full moon. She had been given the name Noori, which means ‘bright light’, in honor of her unusual beauty. Not too long after the first meeting of Noori and the King came something even more unusual though, the King asked her to marry him. This was pretty much unheard of because the culture there was very obsessed with status, and someone with the status of royalty would never mix with someone who lived in a poor fishing village. Until now. Noori was deeply in love and accepted the King’s marriage proposal happily, though when it came time to go she looked back at her beloved fishing village and felt sadness at having to leave. But she knew it had to be done, her new life and home was ahead of her in the royal palace. Now in most tales this is where the story stops and everybody celebrates a (mostly) happy ending. The poor fisherman’s daughter becomes a queen and lives happily ever after in a golden palace right? But this wasn’t the case for Noori. The King may have looked beyond Noori’s status as a fisherman’s daughter but when she arrived at the palace she found out that most people there could not do the same, or just plain chose not to. And she had a big problem: the other queens. There were 6 of them and they burned with hatred for her, their new favorite thing to do soon became trying to poison the mind of the King against “that simple girl from the fishing village”. Mostly the King ignored the hateful rumors that the 6 queens tried to pass on to him but there was one particular rumor that they said so many times it actually started to make him worry. What if Noori wasn’t the person he thought she was? 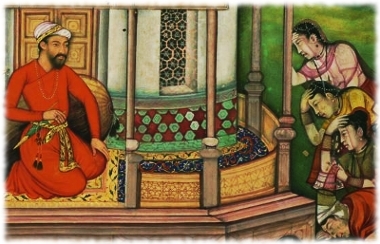 For months the queens had been whispering about how Noori was constantly stealing jewels from various rooms of the palace and giving them to her brother when he visited, so that he could sneak the jewels back to the fishing village. In fact the King had heard from other more trusted people that she had often been seen secretly handing a box to her brother as he was leaving the palace. The King knew that these people wouldn’t lie to him, so it was with a heavy heart that he decided to finally see with his own eyes what was happening. 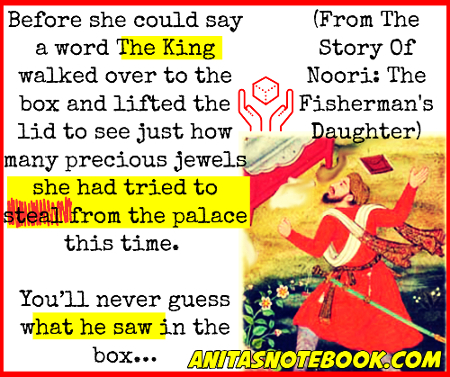 Imagine Noori’s surprise when the King and his guards jumped out of the shadows as she was handing a small wooden box to her brother! It was nothing but a few fish bones and bread crumbs. “What is this?” he said in complete surprise. Noori saw that it was a happy kind of surprise though, because he smiled as he said it and turned to her. Noori explained to the King that she was afraid if she got used to the kind of food that was served in the palace she’d stop being able to enjoy the kind of food that she grew up eating in the village. So she asked her mother to send a bit of fish and village bread along with her brother each time he visited. She had been trying to keep this from the King because she didn’t want to seem ungrateful for all the lavish food he provided. Well after this the King never listened to another rumor from the 6 queens again, no matter how hard they tried to convince him. Seeing that Noori longed for the village by the lake he agreed to go with her and visit it as often as possible, and through his great love for her he started to appreciate beauty of the lake and the little village as she did. It probably won’t surprise you to hear that over the years Noori became very famous and well-loved by the people of her country, she was an unusually humble and kind queen that never forgot what really mattered in life. And even now many generations later people still enjoy talking about Queen Noori and the love story of Noori Jam Tamachi. 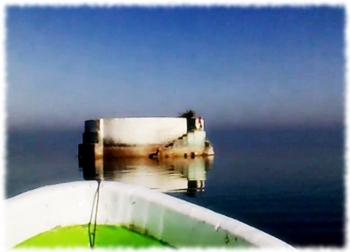 After she died the King had her buried in a white tomb in the middle of that same lake where they first met. And when you climb up to the tomb you get a spectacular view of the shimmering blue lake that Noori loved so much all through her life. The lake is called Kenjhar Lake and every day hundreds of people go there to pay their respects to Noori and celebrate the kind of love that she and the King had for each other. Some people will take pictures, some will pray, and some people have even been known to sprinkle rose petals over the monument. 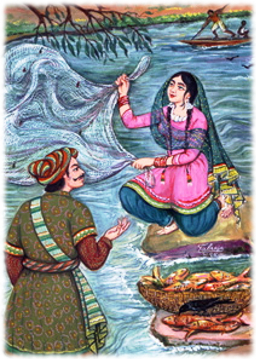 One thing is for sure though: they will all talk about the remarkable story of Noori, the fisherman’s daughter who married a king. 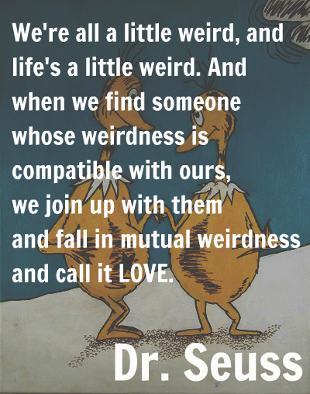 I like his definition of love as mutual weirdness, there’s a lot of truth in that don’t you think?